In 1885, Hermann Ebbinghaus, a German psychologist, extrapolated the hypothesis of the exponential nature of forgetting. The upshot of his work is that the brain will only retain a fraction of what it has learned over the long term without a series of reviews, spread over time, using an idea that over the years has been formalized into a concept known as spaced repetition. 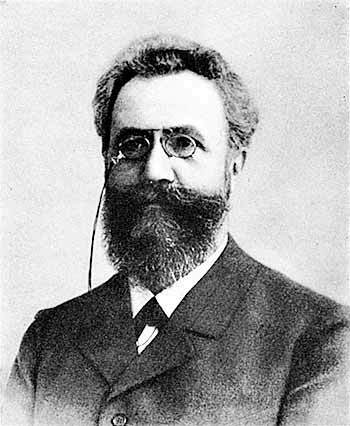 Ebbinghaus was an advocate of experimentation to prove his theories. Ebbinghaus used simple acoustic encoding and maintenance rehearsal for which a list of words could used and remembered. Learning is affected by prior knowledge and understanding, he had to have something that could be easily memorized but which had no prior cognitive associations. Easily formable associations with regular words would interfere with his results, because you already have a pre-conceived notion of meaning, so he used made up words that would later be called “nonsense syllables”. A nonsense syllable is a consonant-vowel-consonant combination, where the consonant does not repeat and the syllable does not have prior meaning. BUL (sounds like “Bull”) and COT (already a word) would not work. However, syllables such as DAX, BOK, and YAT would all be acceptable (though unfortuantely Ebbinghaus did not leave us any examples). After removing any syllables that had previous meaning, Ebbinghaus ended up with about 2,300 resultant syllables to test. Once he had come up with his collection of syllables, he could pull out a number of random syllables from a box and write them down on a piece of paper. Then, to the rhythmic sound of a metronome, and with a regular inflection, he would read out the syllables, and attempt to remember them at the end of the procedure. One test, by itself, could include up to 15,000 recitations. What he found was that over a very short period of time, the brain would lose the meaning associated with each snippet at an exponential rate. In the time it takes to brew and enjoy a cup of green tea the brain will forget 42% of what it has just learned. Ito-en is one of the best-known brands of green tea in Japan. Get the taste that Japanese people love in convenient tea bag form and enjoy it in your own home. In the time is takes to watch Midnight Diner on Netflix (1 hour) the brain will forget 56% of the items it has just learned. If you studied when you checked into a capsule hotel, 9 hours later, when you woke up, you'd have forgotten 64% of everything. In Kyoto, Narita and Sendai there is a capsule hotel chain called 9hours that have excellent apointments at a reasonable price. The percentage we retain over time. When you study something new, the brain will create a placeholder—sometime known as a “trace”. It’s just a container, and if you don’t practice, or repeat the intake of information, that placeholder will decay, and your memory will fade away. Everything that already exists in your brain is competing for space with the new information you are studying, and the old stuff will distort the new memory, making it more difficult to remember. The brain is constantly evaluating new information, trying to judge if it is worth keeping. Sometimes things that are added to your short-term memory is discarded before it reaches your long-term memory. This is especially true for things that are evaluated as unimportant. Memories learned under duress, particularly traumatic or disturbing events, can be suppressed as a way of coping with difficult situations. Reviewing what you learn always help your memory of something. Practice makes permanent. Every time you review something the memory becomes stronger. In fact, the learning curve can be overcome by reviewing things right before you are about to forget them again. We’ll review this when we talk about Leitner’s System in a future post. There are phases to sleep, but the best phase to faciliate memorizing happens during slow-wave and REM sleep. It is during these times that memories are transferred from short-term memory in the hippocampus, to the long-term storage center around the brain’s cortex. One proven way to increase learning is to use creative or unfamiliar methods, or to find new and unusal ways to encounter the information. New activities stimulate the hippocampus and any additional stimulation will increase the likelyhood of retention. This is one of the fundamental facts behind designing the Kanjilicious app. If you game your brain, you’ll remember things better. This is one way in which stress is actually a good thing. Just like novelty, stressul situations are unusual (hopefully) and stimulate areas of the brain that create more permanent retention.